Yes, another par 5. Your line off the tee is just to the right of the fairway bunker. 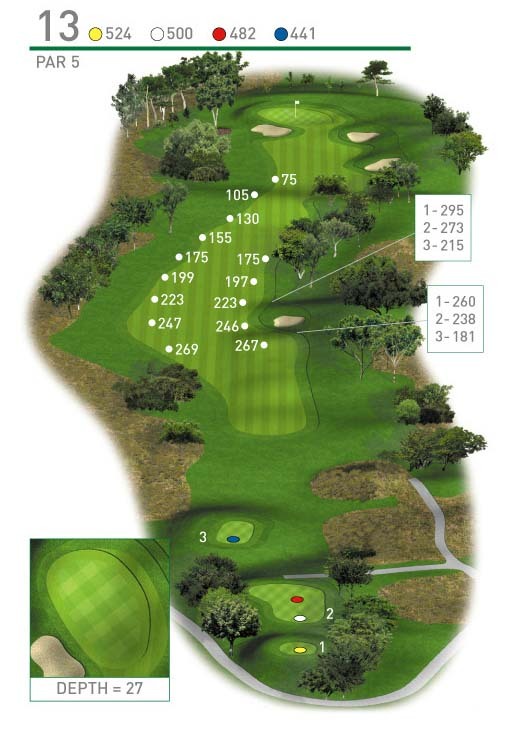 The ball will feed left and into the centre of the fairway. The longer hitters will have a great opportunity to attack the green whilst those choosing to layup can also feed the ball close the green. A really good opportunity to get a well deserved birdie.